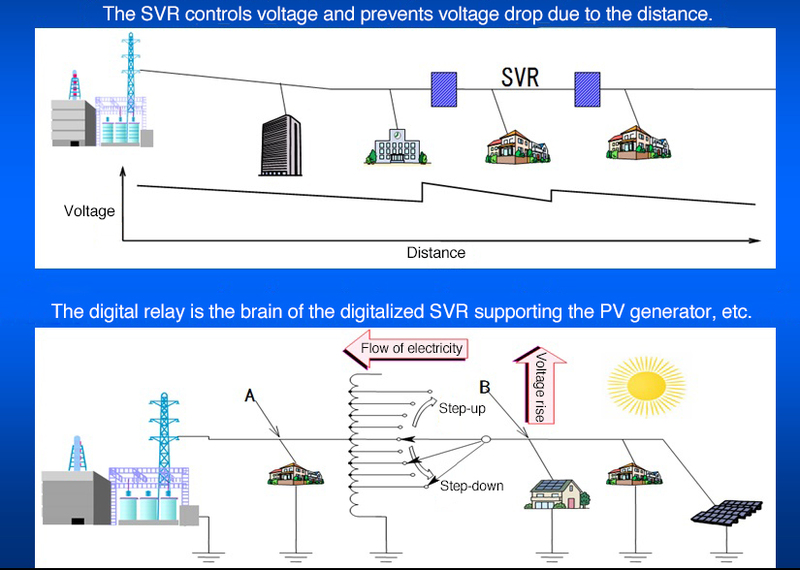 We can perform unmanned automatic inspection of the digital relay which performs control of the voltage stabilization system (SVR) along the power distribution line. Ahead of developing the testing device, we had a difficult time understanding the characteristics of the product for inspection. 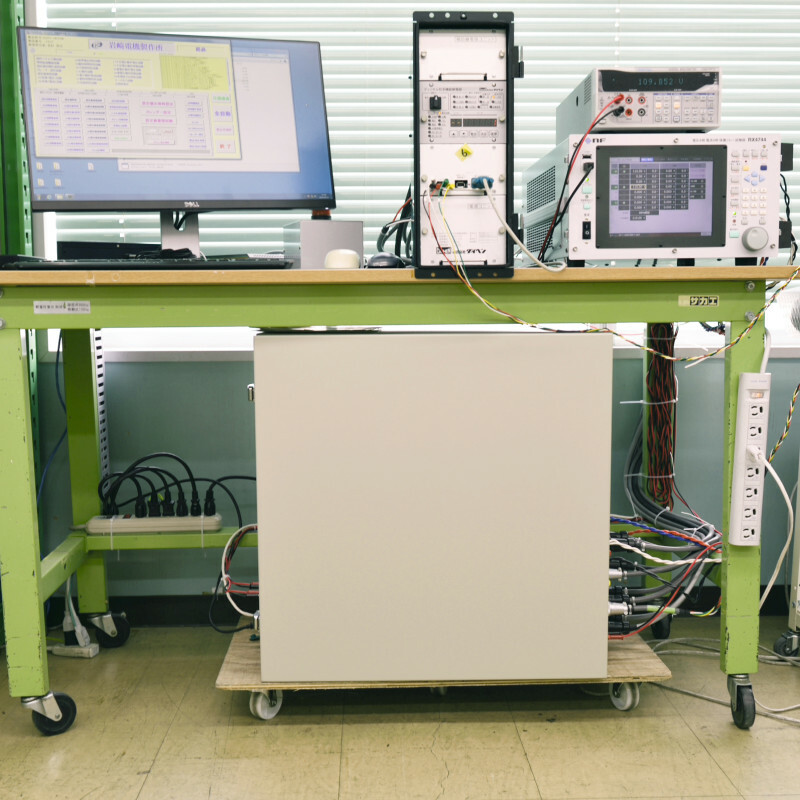 We designed the inspection circuitry to be versatile so that it can respond to each type of product, and made innovations to enable the output signal from the product to be received by the PLC without delay. 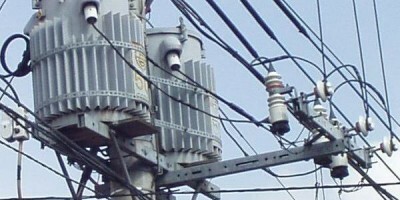 This resulted in an inspection method that is simple, with high detectability, and high-speed processing. 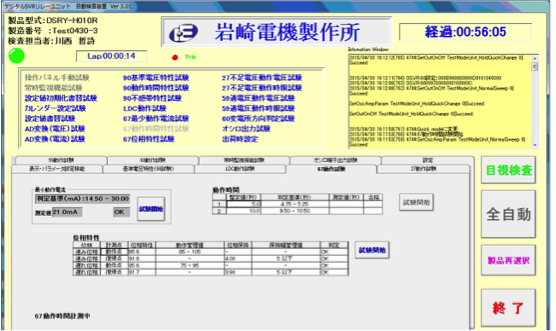 Inspection and measuring is automated through the combination of a computer and a PLC, the inspection results are accumulated in a database, and an inspection record is issued.